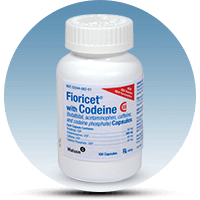 Presently, doctors prescribe Fioricet with Codeine to relieve tension headaches. It also contains acetaminophen and they consider it a narcotic combination. It has the additives of caffeine to restrict blood vessels in the brain, and butalbital to help you relax. Also, users take it for the relief of migraine headaches. They do not recommend Fioricet with Codeine for children. This is because they have not determined the safety of children taking it. Your pediatrician can offer you safe alternatives to this drug combination. Most people start taking Fioricet with Codeine for legitimate reasons. Their goal is to ease the pain they are having. Unfortunately, there are people who take it strictly for the high. The patient may have other medical conditions and are taking other drugs. Sometimes, it may interfere with the treatment involving Fioricet with Codeine. As a result, you should discuss it with your health provider or at least your pharmacist. For those who start taking it to relieve the pain, at times the body builds up a tolerance. Therefore, they find themselves taking more just to feel better. This leads to addiction. There is the fear of having the pain along with the dread of withdrawal. This can keep them on the drug long after they should have quit. What do you Need to Know Before Taking Fiercest with Codeine? You should tell your physician all medications that you are taking. This is all the over the counter medicines. They include cough syrup, Tylenol, aspirin, cold medication, allergy medicines. They also include dietary supplements such as vitamins, weight loss aids, dietary, etc. Always check the labels on all over the counter drugs to see if they contain acetaminophen. If they do, you should check with your pharmacist before purchasing the product. There may be possible overdosing of acetaminophen. And that can be fatal. Be sure to tell your prescribing physician if you have suffered a head injury recently. On the other hand, you might get suddenly sleepy for no clear reason. In addition, you should report any infections a different doctor may have told you about. Do you have a history of hepatitis, kidney problems, pancreatitis, COPD, and lung problems? Then, you should take the medication exactly as prescribed. Pregnant women and women who are breastfeeding should not take Fioricet with Codeine. This is because it can cause addiction to an unborn child. Furthermore, you can also pass it to your newborn through your breast milk harming the baby. There are foods that will also interfere with how effective Fioricet with Codeine is. They include grapefruits and grapefruit juice. It is very important to remember that Codeine is an opioid. Therefore, that, in and of itself, carries its own set of warnings and precautions. Doctors consider it one of the more powerful drugs for intense pain. The side effects of codeine can be addictive. Usually, it can lead to bowel obstruction that can require medical attention. Pre-existing breathing problems have intensified when using Codeine. Therefore, people with asthma or frequent hyperventilation should avoid taking Codeine. It also include any other medications containing Codeine. Codeine quickly breaks down in the liver and can reach high levels in the body possibly leading to death. You can take it with or without food. However, since it can cause stomach upset, it may be preferable to take with food. Drinking 6-8 glasses of water a day helps ward off constipation caused by the Codeine. Check with your pharmacist about a stool softener or taking a laxative. Don’t take more than six capsules during a 24-hour period. Do not use alcohol, at least not in excessive amount, when taking the two drugs. Anticoagulants (blood thinners) may increase the risk of bleeding. Are you taking medication to help with withdrawal from alcohol or other opioids? Then, you should tell your doctor. This is because they may decrease the desired effects of Fioricet with Codeine. If you miss a dose, contact your physician. You should not take two doses at once. Start taking Fioricet with Codeine at the first sign of the pain. Taking medicine when the pain has become intense may decrease the relief. Watch for skin reactions as this is a sign of an allergy. They call these skin reactions Stevens-Johnson Syndrome. They can cause serious health problems and if not treated. Also, they will not heal and can result in death. Red or irritated eyes, sores in your mouth and throat are also signs of allergies. Therefore, you should report it. If you are taking birth control pills, you should tell your gynecologist. This is if you are considering taking Fioricet with Codeine. The birth control may lower the effectiveness of the pill. What are the Side Effects of Fioricet with Codeine? You should discuss any reaction that causes you concern with your doctor. It doesn’t matter whether it appears serious or not. The effects of Fioricet combined with those of Codeine can lead to Serotonin Syndrome. They may have severe complications which include seizures and can escalate to death. Of course, this is not a complete list. However, showing any of these symptoms are dangerous. Therefore, you should take the person to an Emergency Room quickly. Remember, there are medicinal benefits to taking Fioricet with Codeine. However, there are many negative reactions that can occur even when taken as directed. Stay in close contact with your doctor. Your pharmacist can also be a great source of information. Trust what they tell you. In addition, learn to recognize when you may be having a problem or “craving” Fioricet with Codeine. This is as opposed to “needing” it for the pain. It is very easy to become addicted before you even realize it. It is very difficult and dangerous to ignore that nagging feeling of a problem until it is too late. Therefore, you should take more serious actions to get back to what was once a normal life.